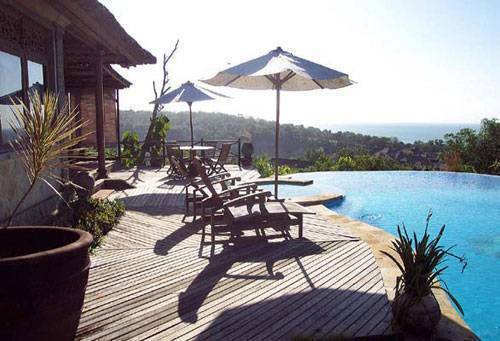 Villa Exotic Jimbaran Bay, Bali, is located just 3 minutes drive Villa Exotic has been painstakingly constructed from aged timber and recycled floor tiles creating old-world ambience and charm. An eclectic décor blends colonial and Javanese furnishings with individual Chinese and Balinese pieces. Throughout the entire villa there are plenty of unique touches such as stained glass windows, old fashioned dressing tables and crafted wood work that indicate an appreciation of the past. 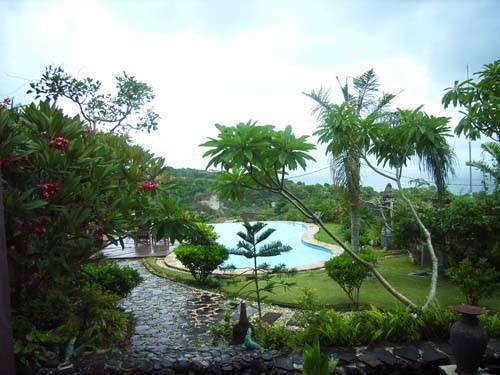 Set in generous tropical grounds with sweeping ocean / bay views, the villa has two main buildings separated by a barn style "Bale Bengong" which can be used as a children's bedroom or office. The main villa buildings have been painstakingly created using antique wood carvings and floor tiles from East Java to stunning effect. The 13 meter private swimming pool has both a children's / Jacuzzi section, an infinity edge which gives the impression you are swimming out and over the ocean beyond, plus a wooden sun deck with lounges and sunbrellas. . A team of 5 full-time staff work 8am to 5pm, with one residing in special quarters above the garage. 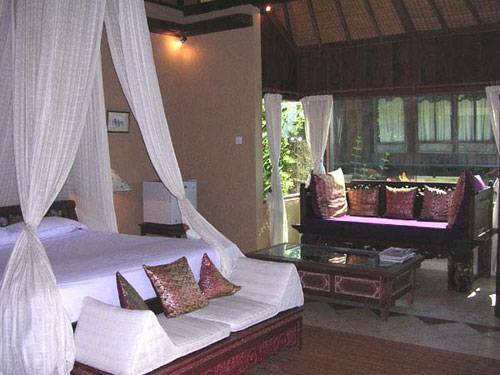 he villa has three main bedrooms each with private en suite (hot/cold water, tub and shower) bathrooms. All beds come with elegant mosquito nets, which allow you to enjoy the cool sea breezes. These bedrooms also have dressing areas / rooms, air conditioning units for both the bedroom and bathroom, plus satellite TV with VCD player (VCD film library kept by the staff). One of the master bedrooms has a unique Chinese bed. 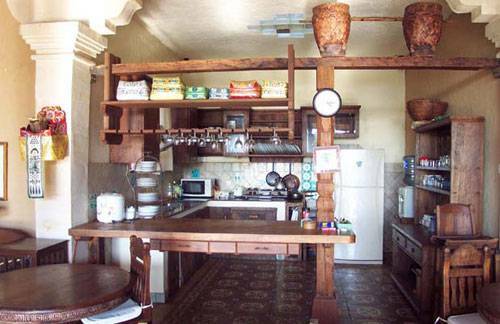 In addition, the Bale Bengong makes a perfect children's bedroom bringing the total maximum occupancy of this villa to 6 adults and 2 children. 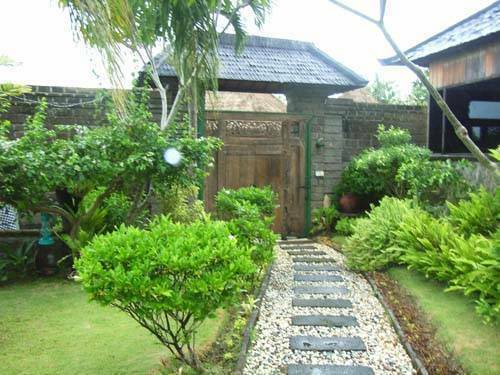 Vill Exotic Bali has 3 air-conditioned main bedrooms, however up to eight adults can be accommodated comfortably in distinct sleeping quarters. Matching master bedrooms with an en-suite bathroom and dressing room are positioned at each end of the semi-open living environment. Villa Exotic Jimbaran Bay, Bali, is located just 3 minutes drive up Jimbaran Hill from the beach / seafood restaurant area, and about 5 minutes down from the Ritz Carlton. 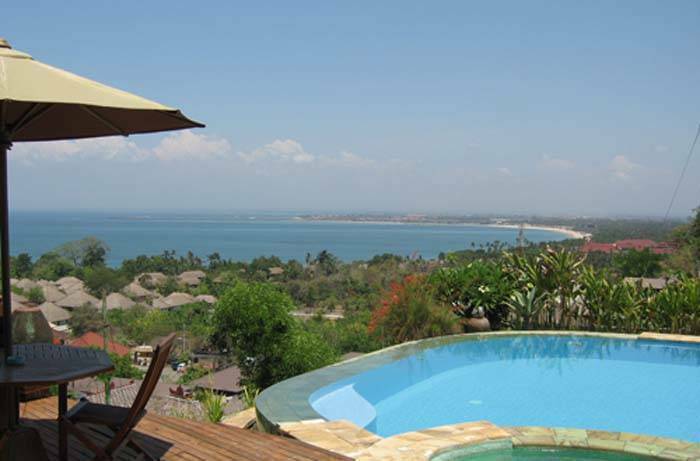 With some of the finest Ocean views available, Villa Exotic Jimbaran is only 15 minutes from Bali International Airport and Bali Galleria.